The U.S. Securities and Exchange Commission (SEC) is warning investors about pump-and-dump Initial Coin Offerings (ICO) scams. The warning comes from the SEC’s Office of Investor Education and Advocacy. It is advising investors to be on the look out for possible scams that involve public companies. It claims that some of these companies are attempting to trick investors by claiming they are taking part in ICO. The SEC warns that it may suspend trading of a stock if it believes that the company is taking part in an ICO scam. Here are the three reasons it gives for why it might chose to suspend trading of a stock. The SEC says that it has already suspended some common stocks for their connection to ICO. These companies include First Bitcoin Capital Corp., CIAO Group, Strategic Global, and Sunshine Capital. The SEC also warns that investors should be wary of companies that have had their stock trading suspended by it. It also advises investors to seek out current, reliable information about a company before investing in it. 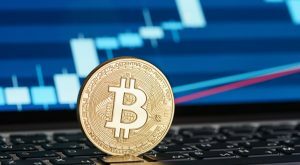 Article printed from InvestorPlace Media, https://investorplace.com/2017/08/ico-sec-internet-coin-offerings/.